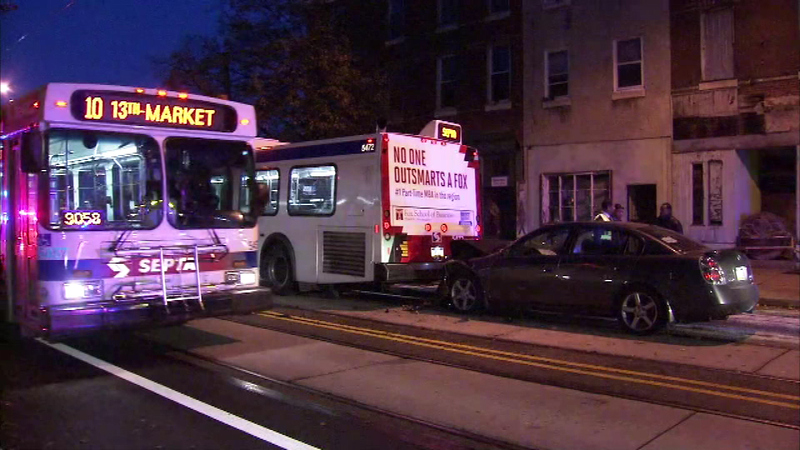 Police tell Action News the Route 10 trolley shuttle, a bus providing shuttle service while a trolley line is under repair, was picking up passengers when the collision happened. 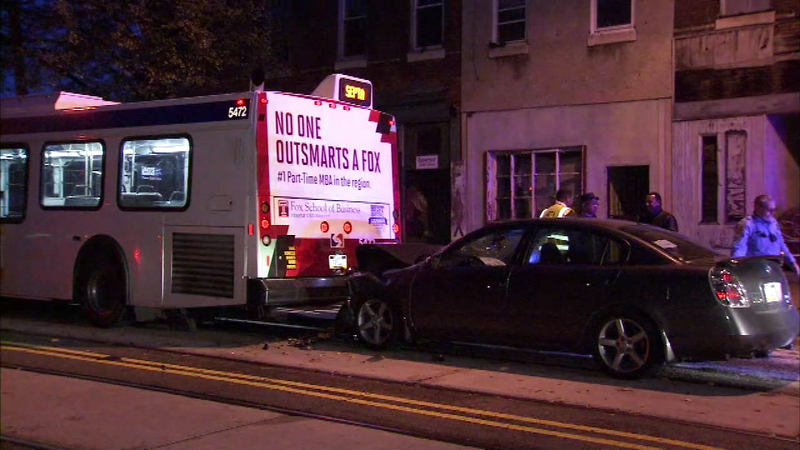 WEST PHILADELPHIA (WPVI) -- At least two people were treated for injuries after a car rear-ended a SEPTA bus in West Philadelphia. 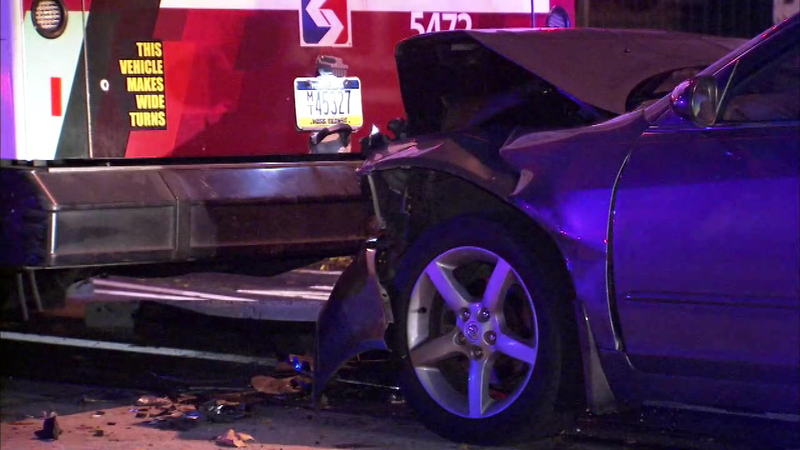 It happened at 5:30 a.m. Friday on Lancaster Avenue at 43rd Street. 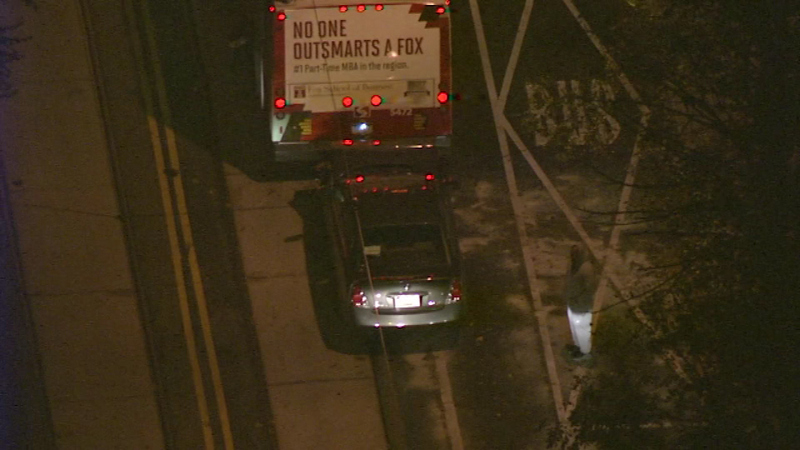 Police tell Action News the Route 10 trolley shuttle, a bus providing shuttle service while a trolley line is under repair, was stopped and picking up passengers when the collision happened. 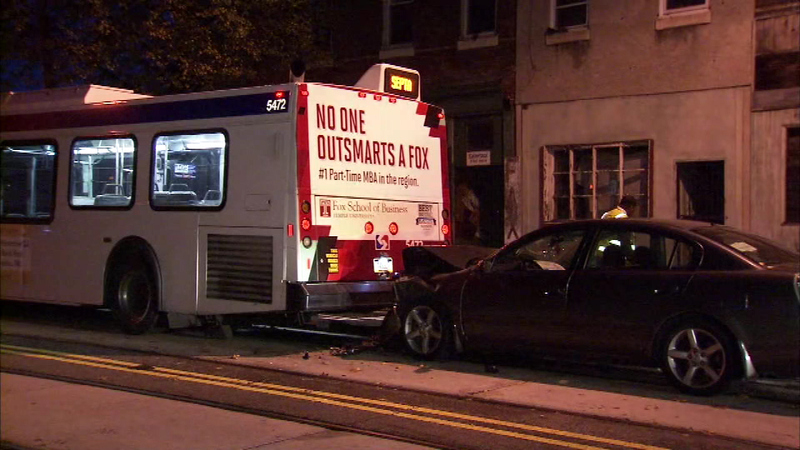 At least two people were treated for injuries after a car rear-ended a SEPTA bus in West Philadelphia. 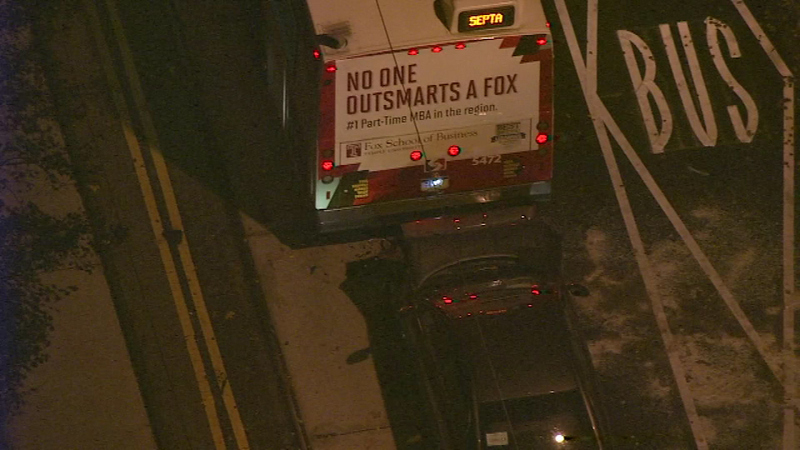 Video from Chopper 6 HD showed a dark colored sedan with significant front end damage immediately behind a parked SEPTA bus. Several police units were on the scene. 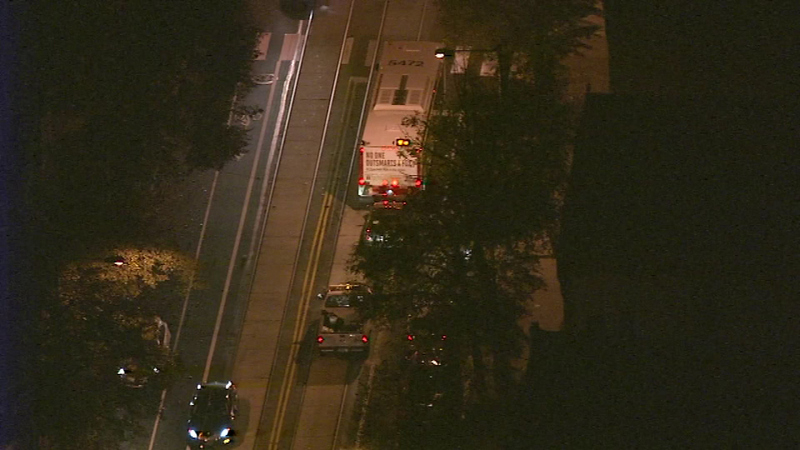 The driver of the sedan and one bus passenger were taken to an area hospital for injuries said to be minor. Traffic was making its way around the bus and sedan as police investigated.